It’s chilly on the Capitol steps today, but that’s no problem for Mitt Romney. Former Massachusetts Gov. Mitt Romney on election night in Boston. He is spending inauguration day in La Jolla, Calif., according to an aide. The former Republican presidential contender is spending Inauguration Day at his home in La Jolla, Calif., where it’s sunny with a forecasted high of 73 degrees. An aide told NBC News that the former Massachusetts governor and his wife have "no big plans." Asked if the governor was likely to watch the inaugural ceremonies today, the aide said, "Doubtful." It’s not surprising that Romney is keeping himself far from the fanfare and tri-color bunting; he’s kept a low profile since losing the election in November. 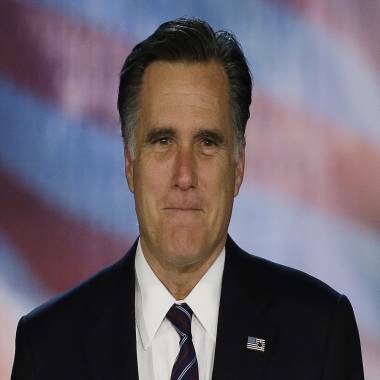 Romney’s son Tagg told The Boston Globe in December that his father was never really all that into winning the nation’s highest office anyway.